There's something indescribable about going to a baseball game. The smells, the sounds, the buzz in the air - it's one of the summer pastimes I most enjoy. I wouldn't consider myself a fan... not like Kasey is, but I do really enjoy a summertime evening spent at the ball park, beer in hand. Which brings me to my first favorite baseball memory. For as long as I can remember my parents have had season tickets for our local minor league baseball team. I think they split them with a few other couples, but they have a significant amount of tickets over the season. They sit right behind the plate, just high enough up to stay shaded. They've come to know the "regulars" around them. And sometimes, just sometimes, I'm lucky enough to get to tag along. I have gone to several games at Hawks Stadium and none really stand out other than one I spent with my dad. I believe it was the summer after I graduated college, and my mom was busy with something else that night, so I was Dad's hot date. Now I need to preface this with the fact that I get my love of beer from this man. My dad loves to have a good time, and he is also very frugal. So when our Hawks have a little promotion called the "Beer Batter" he's all about it. 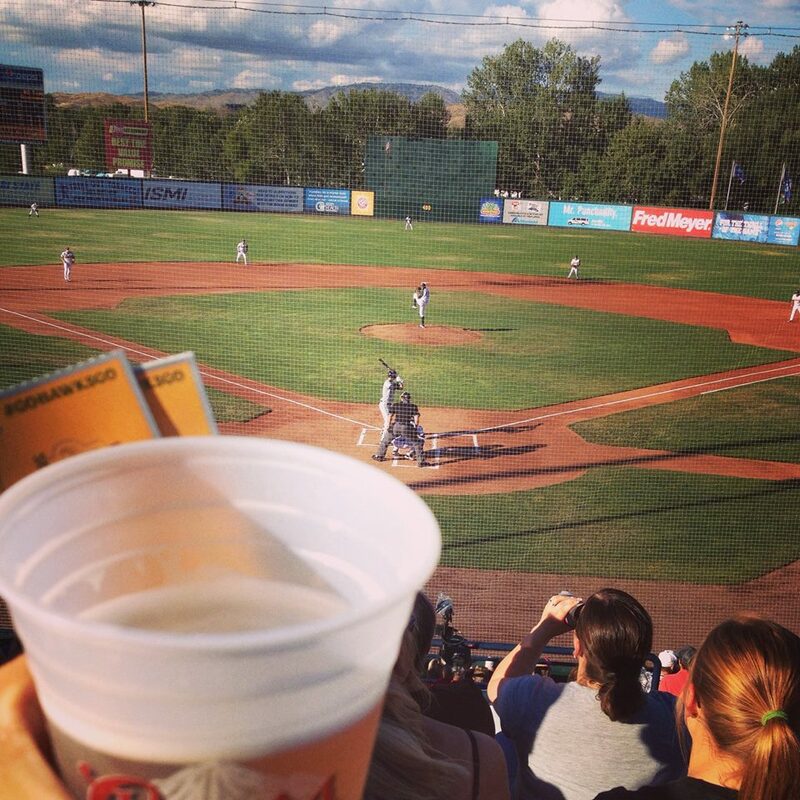 Back at that time, on the odd numbered innings, the lead off batter was deemed the "Beer Batter." If the Beer Batter got on base, it was dollar beers for the next 5 minutes. Of course, my dad has a strategy to this. You see the line gets very long and you're only allowed 2 beers at a time. He has his special "spot" he stands and then, if we get lucky (well the batter) he's perfectly positioned to get in line, but can still see the play. This was the incredible knowledge he chose to share with me that day. And not only did one Beer Batter get on, THREE Beer Batters got on base. My dad and I would stand in the "special" place, watch that at bat, fingers crossed, and then rush down to the beer line. I don't think I can really explain how fun it is to get drunk with a parent... you'll just have to trust me on this. But it wasn't just the drinking I enjoyed, it was the time I had with my dad, both doing something we loved on a beautiful summer evening. We laughed so much that my abs hurt the next day, and it's a memory I will never, ever forget. 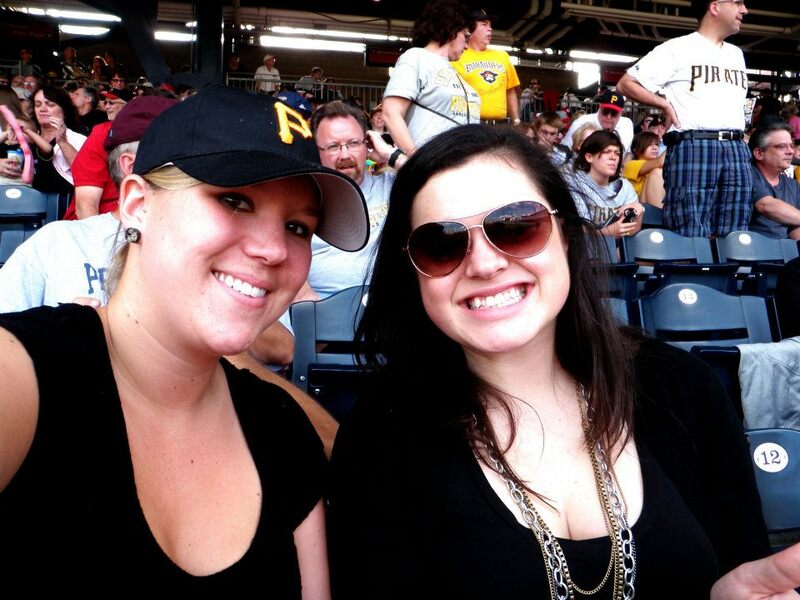 Runner up memory goes to my one and only pro baseball game at PNC Park in Pittsburgh with my best friend. When I visited her in Pittsburgh it was on my "must do" list. Her and I for the longest time have had an inside joke about the Pirates. Well, more about the men you see wearing Pirate hats (or P hats as we like to call them). So we just had to go to the mecca of P hats!!! And those my friends, are my favorite baseball memories! So excited to link up with Kasey for this great American Pastime! You best believe I was scanning the background of those photos to see if I could spot myself! Haha. That's awesome that you got to share that with your dad. It's totally a surreal experience to drink with your parents. And the Beer Batter - omg that's awesome, too. dude. 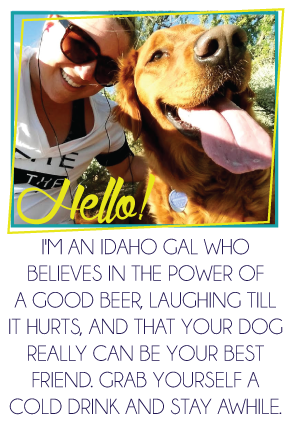 the beer batter is such a fun promotion. also, thursty thursday with dollar beers. that's another one of my favorites. PNC park is TOTALLY on my "must-do" list. I want to get to all of the MLB parks.... THANK YOU SO MUCH FOR LINKING UP!!!!!! That is the funnest thing ever! I love to go to Royals games, but they never have anything as cool as a Beer Batter. That beer batter promotions sounds like a wonderful thing they did! How much did you love PNC Park? 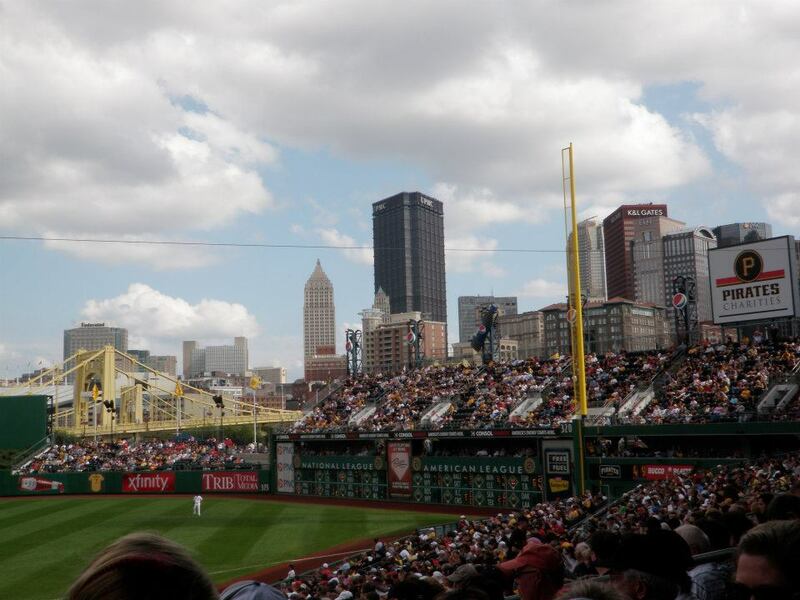 I'm hopefully going to visit Pittsburgh and a friend this summer and everybody talks about how you have the most gorgeous view of the city from inside the stadium. That promotion sounds AWESOME. And agreed, drinking with parents like that is super fun! I love the Beer Batter! Our local Minor League park has "Thirsty Thursdays", you can't beat the deals! 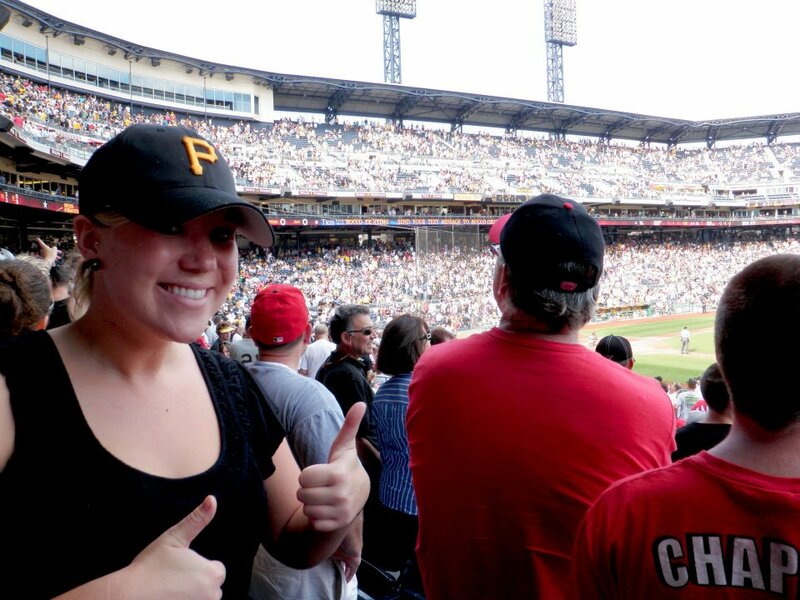 I'm cracking up at the "P" hat since my favorite memory was about the Pirates!